The Helmeted Guineafowl breeds in Africa, mainly south of the Sahara, and has been widely introduced into the West Indies and southern France. This is a gregarious species, forming flocks outside the breeding season typically of about 25 birds that also roost communally. Guineafowl are particularly well-suited to consuming massive quantities of ticks, which might otherwise spread lyme disease. These birds are terrestrial, and prone to run rather than fly when alarmed. They are, however, like most short- and broad-winged birds, very agile and powerful flyers, capable of hovering and even flying backwards when necessary. 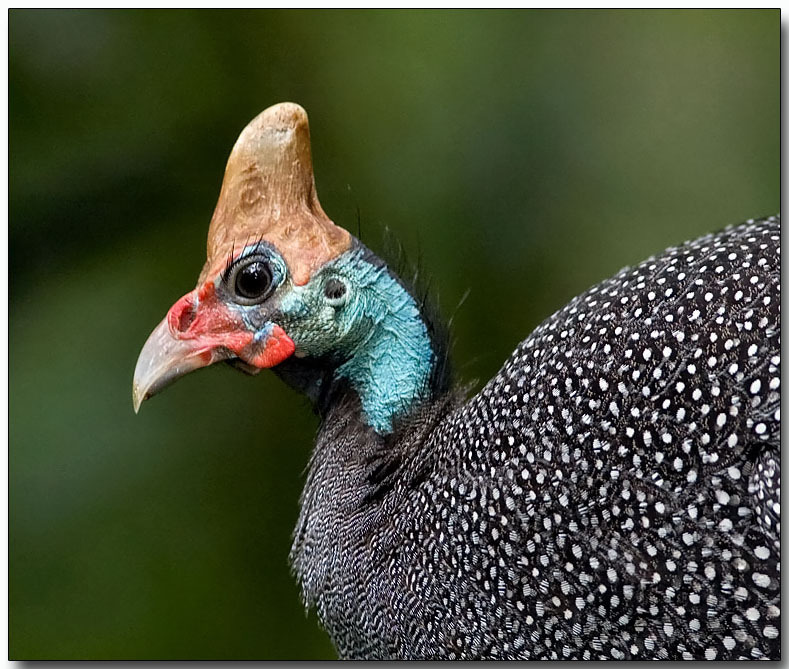 Helmeted Guineafowl are great runners, and can readily cover 10 km and more in a day. They make loud harsh calls when disturbed. Their diet consists of a variety of animal and plant food; seeds, fruits, greens, snails, spiders, worms and insects, frogs, lizards, small snakes and small mammals.